Today's modern world is changing and moving faster than ever. Listen to your radio and you can hear the messiness. Turn on your television, and you see it in high definition. Walk outside your front door and you can witness it. How are we to respond? How does God respond? God loves this messy world, and he challenges us to love it by joining him in redeeming the messiness that engulfs this planet. That is why we believe Missio is called to prepare leaders to follow Jesus wherever he leads. For many of our students, this means following Jesus into the messiness of the city, the messiness of the church, the messiness of the mission field, or even into the messiness of terrible trauma. Our classrooms serve as the training ground to send these remarkable men and women into the world for the cause of Christ. The missional motivation for Missio is summarized by our phrase “following Jesus into the world.” We believe that God is at work building his church around the world from rural country towns, to bustling urban cities, to poverty-stricken nations, and everywhere in between. When you study at Missio Seminary you are more than just a student, your story becomes our story – and together we join God’s great story of redeeming the world to himself in Christ.  Missio Seminary began as Biblical School of Theology in 1971 through the shared vision of Dr. Allan A. MacRae, former president of Faith Theological School, and Dr. Jack W. Murray, president of Bible Evangelism, Inc. Dr. MacRae and his colleagues became the founding faculty and classes began meeting in Hatfield, Pennsylvania.